An exclusive over at TVLine has revealed another addition to the Freak Show and he's no stranger to weirdness. 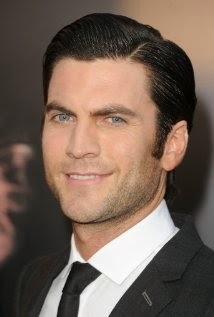 According to the report, Wes Bentley (that awesomely creepy neighbor from 1999's American Beauty) "will appear in the show’s two-part Halloween episode (tentatively set to air Oct. 21 and 28) as Eddie, a dark tormentor from Kathy Bates’ past who is hell-bent on revenge." The fourth "season" centers around "the last freak show in America in 1952" and reunites past fan favorites including, Jessica Lange, Angela Bassett and Evan Peters. We've already learned that Sarah Paulson is headed for an interesting role and newcomer, Michael Chiklis will play a strongman who is married to Angela Bassett's character.